https://hyperfundit.com now redirects to https://steemit.com/@hyperfundit.com. We made this move to make life easier for you. You no longer need to register for hyperfundit and the entire process and experience is more streamlined. The only time you would have to leave steemit.com is to transfer SBD when clicking “Claim Reward”, this is done via SteemConnect for your convenience. 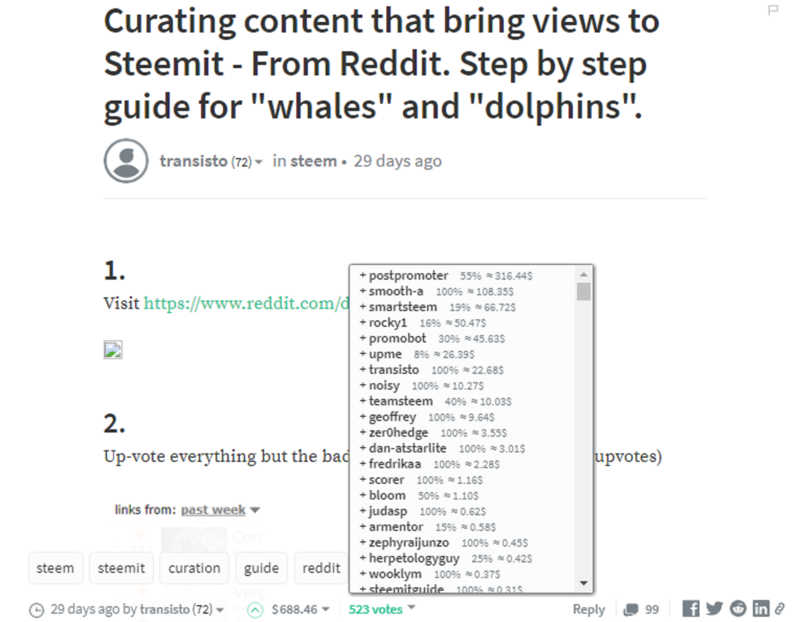 However, if you REALLY want to stay within the steemit.com domain, you can optionally use your Steemit Wallet to make the transfer, just write the project name that you want to support into the memo. 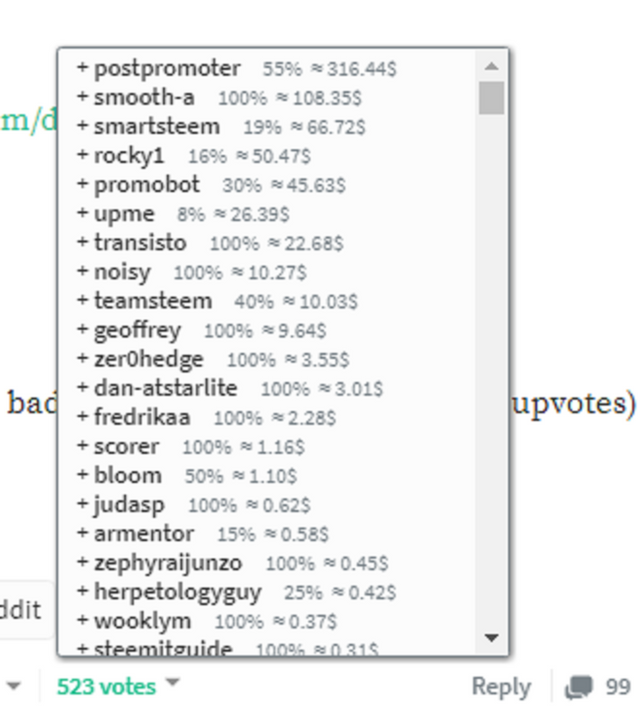 What’s really cool is that we’ve also implemented an “upvote up to 5x” system, if you would like to support a project with more than one upvote. Unfortunately this one got buried in the comments, but as the @hyperfundit, @hyperfundit.com, @hyperfundit.supp upvotes get bigger, and more people start to use this feature, I'm hoping it'll make its way to the top of the comments in future posts. We created account @hyperfundit.supp to enable you to upvote and support projects after the initial post expires. Campaigns usually run for a total of six weeks (42 days). Two weeks of connecting with influencers and hyping the campaign up (14 days), followed by four weeks of funding (28 days). The @hyperfundit.supp account allows for the @hyperfundit.com acc to be free of duplicate posts for ease of browsing through campaigns. This account @hyperfundit will continue serving as a blog and keep bringing you more informative content from improving writing, photography, vlogging, to raising awareness about steem projects. We will also be using the @hypefoundation account to upvote charities and meaningful causes outside of @hyperfundit.com's scope. Please take a look at fundition.io if you haven’t already been there! It’s beautifully designed and already hosting dozens of projects, show some love and support for the project creators aka Founders. The #upfundme hashtag has been around the longest and has a thriving community, please check out some posts and show some support, a single upvote can go a long way! "Tagging @hyperfundit.com and using #upfundme at the same time will allow people crowdfunding to reach a larger audience and an increased chance of getting support from various communities." Awesome Project @robchen excited to see more and was awesome meeting you at the steem conference! I've watched the whole steemit 2.0 course, super helpful! I've lowkey launched @theshop 2 days ago, could you take a look and see if you'd like to list your courses there? I'm so flaccid right now, it's unbelievably disappointing. Tagging @hyperfundit.com and using #upfundme at the same time will allow people crowdfunding to reach a larger audience and an increased chance of getting support from various communities. The Tree of Life, or Etz haChayim (עץ החיים) has upvoted you with divine emanations of G-ds creation itself ex nihilo. We reveal Light by transforming our Desire to Receive for Ourselves to a Desire to Receive for Others. I am part of the Curators Guild (Sephiroth), through which Ein Sof (The Infinite) reveals Itself! Glad to see more and more adoption of steemit! This is f**king awesome! I hope to see more and more stories like. This is a great idea, you guys are always thinking about how best to improve in other to touch the lives of the community members positively. Good job guys. And yes i have given my tini tiny vote. Thanks izge! I'm sure there's still areas to improve upon, just need to keep thinking more! Although i am not some wizard or some nerd who can initiate any project, is it possible to be a bench warmer in your unit on steemit? If yes how do yours faithfully join you guys? If you're not saying anything of value don't buy votes on it. It is also so ridiculous that the bots would leave such long comment on your comment. lol yep :) he will! will you? @transisto how can you say this? you have no right to stop other for act which you are doing by yourself .i just visit your profile and realise that you are also using bot for your post. the only difference is i was using small bot for what i was paying 0.001 or 0.002 0r max paying 0.100 but you are using @postpromoter which is demanding 5sbd to 50 sbd lol. @rocky1 which is demanding 3sbd @promobot @smartsteem these are all high paying bot. @fishbaitbot is luring fishes with a 5.12% upvote thanks to @everything-4you!Send 0.05SBD/STEEM or more for a free resteem along with the upvote! Delegate to the @fishbaitbot and get 100% of the profits which is better than all upvote bots! Click on one of the following links to delegate 50SP, 100SP, 250SP, 500SP, 1000SP or 5000SP. This bot, the steembottracker and some other projects were made possible thanks to @yabapmatt. Make sure you vote for him as witness! You got a 3.72% upvote from @t50 courtesy of @everything-4you! 95% of all SBD bids go to the people who invest by delegating to the bot. To use this service send a minimum of 0.010 SBD or STEEM to @t50 with the post you want upvoted as the memo. Draw Attention To your Post. Earn Passive Income By Delegating SP to the Bot. Voting processed every 2.4h (2,880 blocks). If you do not want to receive upvotes from @t50 you can ask to be blacklisted by replying to this comment. You got a 25.00% upvote from @voteme courtesy of @everything-4you! For next round, send minimum 0.01 SBD to bid for upvote. Do you know, you can also earn daily passive income simply by delegating your Steem Power to voteme by clicking following links: 10SP, 25SP, 50SP, 100SP, 250SP, 500SP, 1000SP, 5000SP. it's really a great news for steemit user. thanks to the creator group . That's really great news. You have written on a big issue. This link will support me. This is a great idea. I am interested. Awesome. its just fabulous. When this website made and how much people are work there?? You got a 56.08% upvote from @upmewhale courtesy of @hyperfundit.supp! You got a 58.83% upvote from @t50 courtesy of @taskmanager! This is great idea very interesting project. This is a good trend for steemit. I am happy all of you are here. I am resteeming this post. I am following, please follow back. Awesome. The 5x upvote idea is really clever! really interesting news keep it up!! Any projects that will cater for more people in the steemit community is very much welcome. But I need to read more about this projects to see how it works in real scenario. The Black Cat Initiative is running a fundraising campaign to support the care and spaying/neutering of stray cats in hard to reach areas. Show your support by grabbing your own #theblackcatinitiative Tee! This campaign ends on May 30, 2018 so don't miss out on this opportunity to help cats in need! #fortheloveofcats ! Cool! Would you like to list your t-shirts on @theshop? I launched that account two days ago and am looking for sellers to post products. I will be making an announcement about it in two weeks. Hope this can help sell some shirts and save some cats! whoaa! I'm move by it.. This post has received a 12.99 % upvote from @boomerang. like this your post.I am new user please send me upvhote. As a friendly reminder, the current upvote fee is $0.12 SBD ($0.121 for incognito). Current 300%+ upvote is now $0.36+ SBD. Join our 10 SP Challenge!!! Simply click this link to delegate 10 SP Now! Or delegate any of these other amounts and make a "striking" return on your investment! The ground shakes as incredible power lights the sky. The thunder tests the quality of your post and deems it worthy, rewarding it with a 300% upvote, comment and resteem from @thundercurator. This is great idea I am apprciating it too much. This is brilliant, and I will definitely let my business partners know about this amazing community that you are setting up from which we can all benefit from as humanity and change the world! seems a great project.but now we have to see how its perform. This really is what crowdfunding is all about. Awesome project! Congratulation hyperfundit! Your post has appeared on the hot page after 7min with 34 votes. Wow a nice development,great idea. This is great for all. Easier access to hyperfundit. I am excited to see the projects that make it onto @hyperfundit! there have already been a couple interesting ones and i know steem has a very creative community so this will be exciting! It is somewhat like crowdfunding, did I get it right? Awesome Project @robchen excited to see more and was awesome meeting you at the steem conference!Glad to see more and more adoption of steemit! This is a wonderful idea and looking forward to seeing it in full swing.